It’s been 30 years since the Chevy Camaro last had a four-cylinder engine under its hood, the infamous Iron Duke that topped out with 92 horsepower. That was the engine you got if you were worried about gas mileage or couldn’t afford anything better. Fast forward to 2016, andChevy again is offering a four-banger. Only now it’s something that’s worth your time. 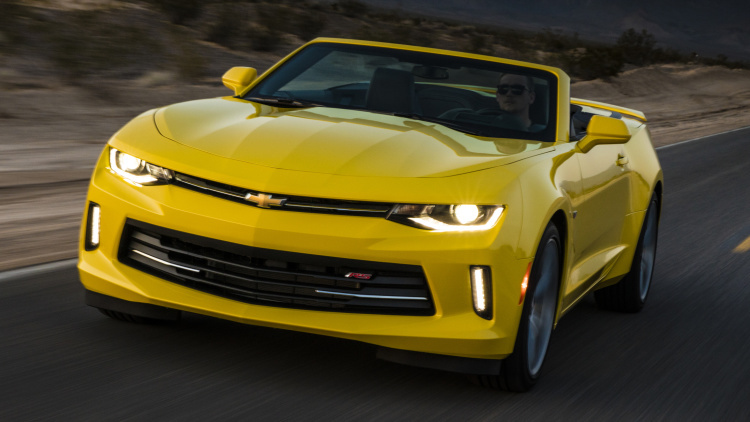 The 2016 Camaro offers a turbocharged inline four-cylinder engine rated at 275 horsepower and 295 pound-feet of torque. It will hustle to 60 miles per hour in 5.4 seconds, gets up to 31 miles per gallon on the highway, and in the words of chief engineer Al Oppenheiser, it’s a “no-excuses” engine. That’s a cliché, but he’s right. Driving the Camaro 2.0T is not something you need to apologize for as an enthusiast. The sports car has plenty of power, handles well, and it even sounds decent for a turbo four (okay, that’s an excuse). It’s a different kind of energy for the Camaro, and it underscores the car’s transition from hefty American muscle to something more sinewy and sophisticated. We tested the four-banger on the curvy street course at Spring Mountain in Nevada, and then navigated the dusty desert roads leading to Death Valley in California. We even hopped in a convertible, which like its hardtop sibling is better and more refined than before. Four cylinders are fine with the top down, too.